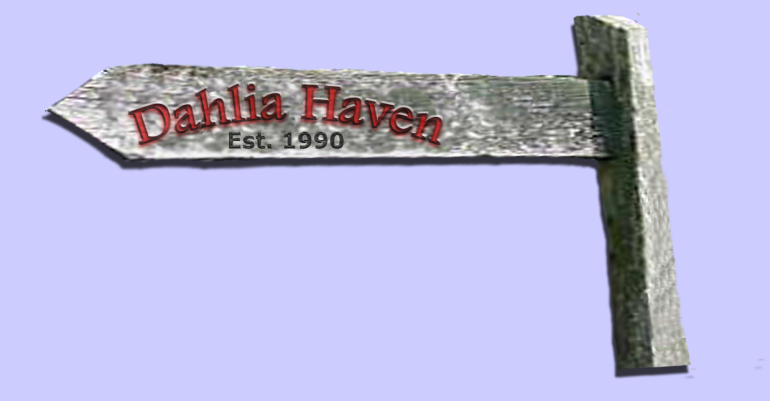 Dahlia haven - Contact us! Time to relax and enjoy the last of the vibrant show of colour! 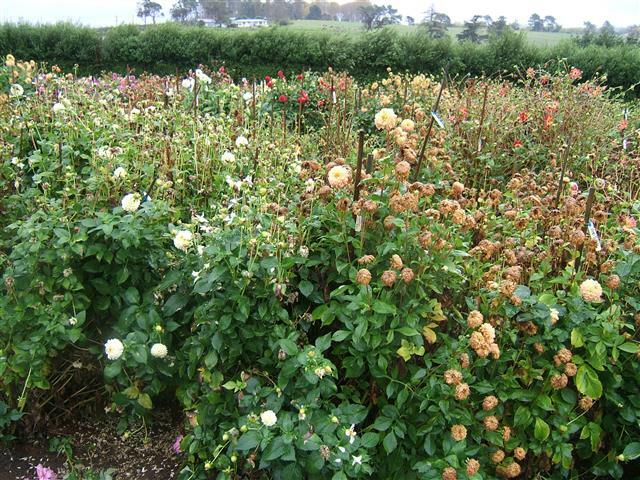 Keep dead-heading as long as you can to prolong flowering or finish completely to encourage them to go off quickly. Allow them to look messy and to completely die off before cutting back. If you cut them back too soon or when they are still green they will shoot again and weaken the tuber for storing over winter - the tuber won't have cured and stored enough food so may shrivel and lose all its oomph for starting again in Spring. Leave an inch or two of stalk so you can see where the eyes are and where to divide the clump for next season, tie the label firmly. 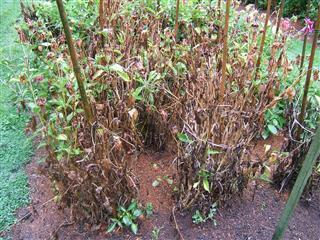 With some varieties the stalks may rot completely, the clump should still keep together but may fall into lots of bits. Keep these together until spring as each may have a viable eye and shoot. Store in wooden boxes or polystyrene trays with the labels on each and place in a free draining medium such as untreated sawdust, pumice mix etc. Place in a cool dark place where they can get occasional waterings - to remain plump - do not let them dry out completely. Regularly check on them for any damage or rotten pieces. Remove these with a sharp knife or secateurs and dust any wounds or divisions with 'Flowers of Sulphur' and hydrated lime, 50/50. Clean tools between clumps with meths or Jayes Fluid for hygiene purposes. This helps prevent the spread of unseen viruses you may have from the tuber. Dividing larger clumps is usually done over winter before spring when the eyes are visible so as not to damage any shoots. Remove older, corkier, hollow, shrivelled or rotten pieces. These were the previous seasons food storage so keep only plump, firm, newer tubers. Clean any dirt from the clump so you can see where to divide by placing the knife between two stalks and gently seperate, or cut neatly and dust. Replace back in medium and wait until they are shooting again before planting out in spring.